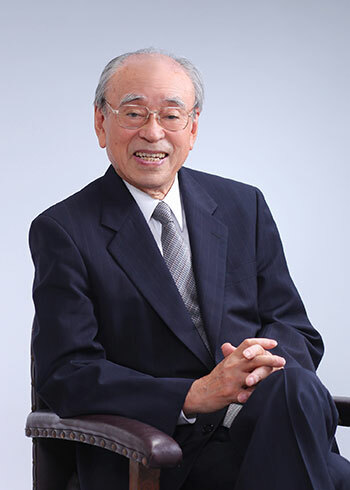 The Hoso Bunka Foundation was founded in 1974 with Ichiro Nakagawa, an economist and honorary professor at Hitotsubashi University as President. Since then, making the transition to a public interest incorporated foundation in April 2011, the HBF has engaged in its mission for 44 years. Since its inception, the foundation has carried out support programs such as “providing grants for broadcast-related research and cultural projects” and “making honorable recognition of outstanding development of broadcast programs and broadcasting technology”. In addition, since 1996, the foundation has held “regional forums for producers” as a human resources program in Japan. The “grant funding offered” has reached approximately 12.5 billion yen, well over the basic fund of the foundation. We will try our best and continue our broad-based support for the development and improvement of broadcasting culture. The “HBF Prize” has been highly regarded as an award with a history and tradition that opens the door not only to broadcasters but also production houses throughout Japan. It is quite characteristic that the award is given for various achievements in broadcast business and technological improvement, as well as for outstanding broadcast programs. The “forums for producers” have been held, aiming at offering an occasion for producers to mingle with each other beyond the organizational boundaries between NHK and commercial broadcasters. This event has been hosted, under co-sponsorship of each regional executive committee, at four districts in Japan (Northern Japan, Ko-shin-etsu, Chugoku-Shikoku, Kyushu-Okinawa). Since November last year, another district that includes three prefectures (Aichi, Gifu and Mie) has been added to make the total districts to five. I hope those young people will encourage one another by competing in mini-program contests and exchanging views, and will grow as superb broadcasters. Besides the domestic programs, the HBF has contributed to the development and improvement of broadcasting culture abroad by offering the “Hoso Bunka Foundation Prize” to the winner of the TV Proposal division of the “Japan Prize,” an international contest for educational media organized by NHK, and by providing financial support for the ABU Prizes, an annual contest organized by the Asia-Pacific Broadcasters Union (ABU) in order to honor outstanding programs. Over 60 years after television broadcasting was launched, it has made tremendous progress, converting from black-and-white to color, from analogue to digital, and today, television broadcasting is in the era of convergence and collaboration with communications, multi-media and multi-channels. The 4K/8K Ultra High-Definition satellite broadcasting, currently in a test phase, is scheduled to move to a practical broadcasting phase this coming December. This transition will open a new page in the world of video expression and broadcasting culture. In a climate of rapid change in the environment surrounding video production and broadcasting, the HBF is determined to keep moving forward while sensing a new breath of “broadcasting culture”. I would appreciate your continued support.